After years of travel and visiting hundreds of people in their homes in almost forty countries, I have come to the conclusion that the people of the Middle East are among the world’s best at the art of hospitality. Hospitality is a matter of the heart — of extending to others the kind of care we would want for others to extend to us, especially when in difficult circumstances or hostile places. The Greek word for hospitality is “philoxenos” — from the words “philo” meaning love and “xenos” meaning stranger or guest. This word means “lover of strangers or guests” and conveys the idea of enjoying being a host. It’s not difficult to identify the people who truly enjoy being a host and who will drop everything they are doing in order to make sure their guests are properly cared for. Last week, my friends and I visited three slum areas in Cairo that are home to the Zabbaleen, Cairo’s garbage people. These are the folks who collect garbage from door-to-door and then pick through it to find items they can recycle or sell. They barely make enough money to survive from day-to-day. 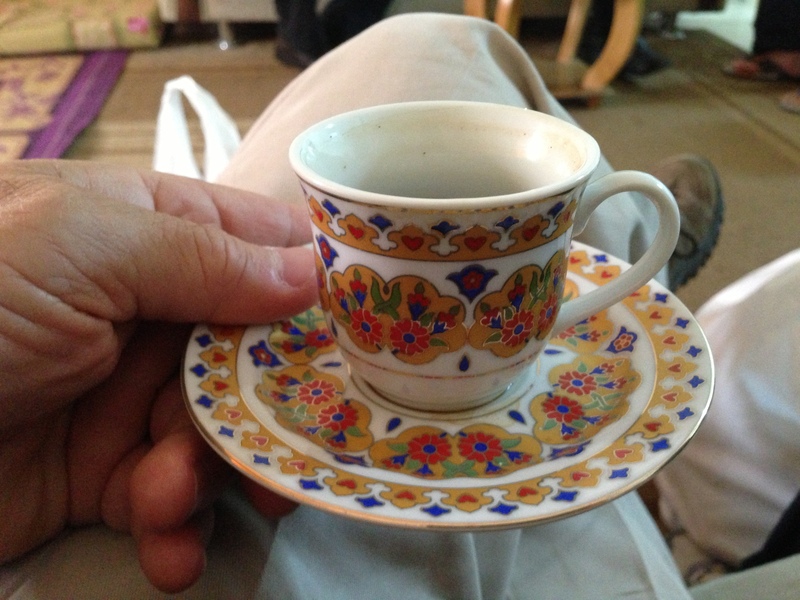 And yet, when we visited the Zabbaleen, they did not hesitate to offer us a cup of tea or coffee. Hospitality is somehow engrained in their DNA, even if it means offering you the last of their food or drink. This week we are visiting Syrian refugees in Jordan. Today we met several families who have suffered the loss of everything — material possessions and beloved family members and friends. Most of these people fled to Jordan with little more than the clothes on their back. They are struggling to make ends meet. And yet, when we stopped by for a visit, they welcomed us with open arms and offered us either tea or coffee. Accepting the hospitality of those we visited today meant a lot to them. They were so happy that we were not in a hurry but had the time to sip tea and to listen to their stories. The theme of today was coffee, tea, and tears. 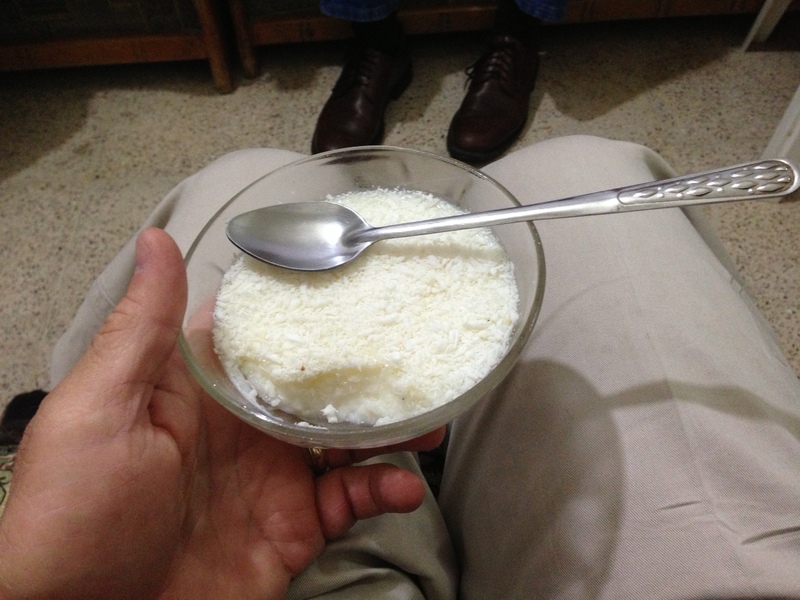 I think I managed to drink what seemed like two gallons of tea, some very strong Syrian coffee, and one delicious dessert. But, that’s ok because we made lots of meaningful connections with hurting families and offered them some very timely help. I really do like the way in which accepting a simple cup of tea can open the doors of understanding between people. When offered tea, you cannot drink it in a hurry. Instead, you have to slow down and sip it slowly while conversing with your host. Drinking tea and listening to people who are hurting is like a soothing balm to them. It conveys that you care about them and want to be a friend. Our final visit of the day was with a mother and her 19-year-old son. This young man had been imprisoned and abused by government forces in Syria. When he was released from jail, his father sent him and his mother to Jordan and promised to join them as soon as possible. Unfortunately, the border closed before he could cross into Jordan. He has been trapped in Syria ever since. We spent a long time with this family and offered them some much-needed assistance. 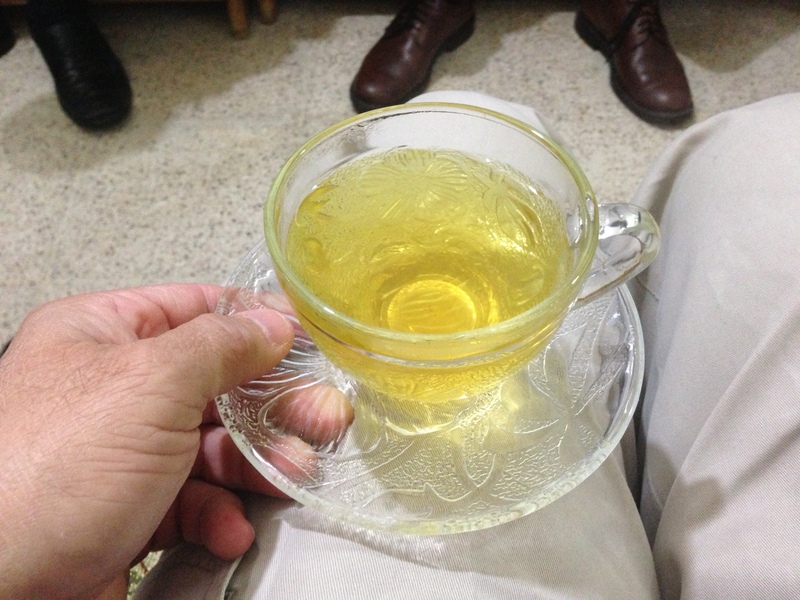 After we prayed with them and were saying our good-byes, the young man said to me in his faltering English, “I … wish for you … to be … my … best friend.” Hearing those words made it worth drinking another cup of tea. You would have loved the tea. The light-colored tea was especially nice. Love you and see you Saturday. You know the saying about the “third” cup of tea with the same host….?! 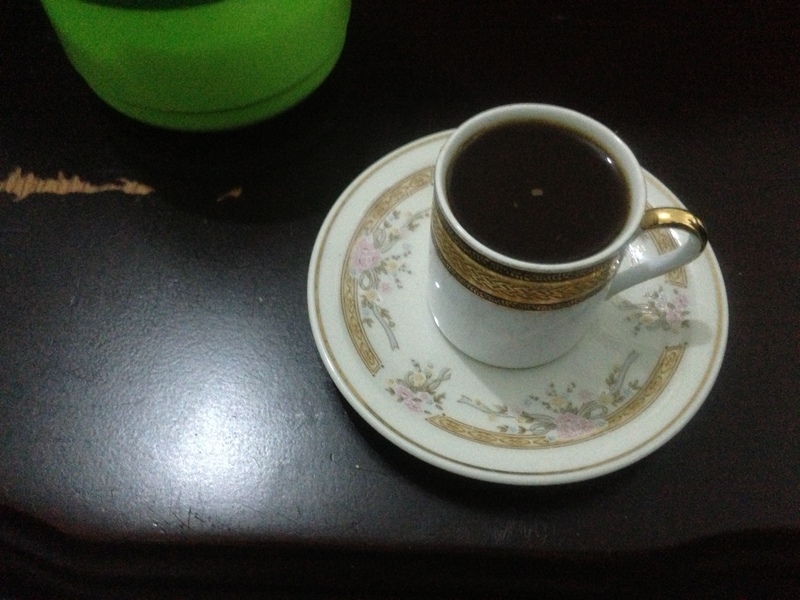 The first cup is offered to one who is an acquaintance. The second time tea is offered to one who has become a friend. The third cup is given to one…who has become family! You’re on your second trip there…and it seems, quickly becoming family! Amen about Middle Eastern hospitality! Yes, I love the meaning of the three cups of tea. Enjoying every drop, although the coffee is a bit strong! Your last sentence brought tears to my eyes because of the sweetness of the man’s comment. God bless him…and you on your travels! Thanks, Nikki. It was such a blessing to hear those words after hearing his story of being severely beaten and abused by government soldiers. He looked like he really needed a friend. I hope to see him again in a few months. In the meantime our partners at Global Hope Network will follow-up and check in on him and his mom. Tea is a part of my heritage, not because the English grow tea of course, but because tea time is an important part of our culture. Most of the tea plantations in India and many in Ceylon were established by the British during colonial times – and those colonies have adopted the tradition of afternoon tea; and I love it! Having owned a tea room for close to six years I discovered that it is virtually impossible to be angry while you drink a cup of tea. I have witnessed friendships made, retained, mended and remembered over a cup of tea. Maggie, who I named the tea room after, always had her front door open and the kettle on in order to make a “cuppa” for the visiting friends and neighbors. Your Blog brought back a flood of memories of past cups of teas shared with friends – and each one is precious. Please continue with your tea time visits – there is no better way to show how much you care – God Bless you all on your mission and bring you home safely. Thanks for your comment, Jackie. Love your insight about all the good that can happen over a cup of tea. Thanks for following our journey and for your prayers. We just studied about Christian hospitality last week in 3 John. Your blog presented great illustrations of that. What a precious thing for that young man to say to you! He’s a good judge of character. 🙂 Thank you, Omar for letting Christ love through you so well! May God bless and protect you all with safe travel home. Thanks for your kind words, Pam. Our visit with this family was especially good and one I will always remember. Hope to see them again in a few months. Thanks, Lama. I look forward to visiting your site. I really love your country and the people. And, of course, the food is fantastic.